Tickets can be purchased at face value in advance or on the day of the show at the venue Box Offices. Bookings on line or by phone usually incur additional ticket fees or transaction charges over which All Star Wrestling have no control. Kendo Nagasaki promoting the launch of his autobiography. 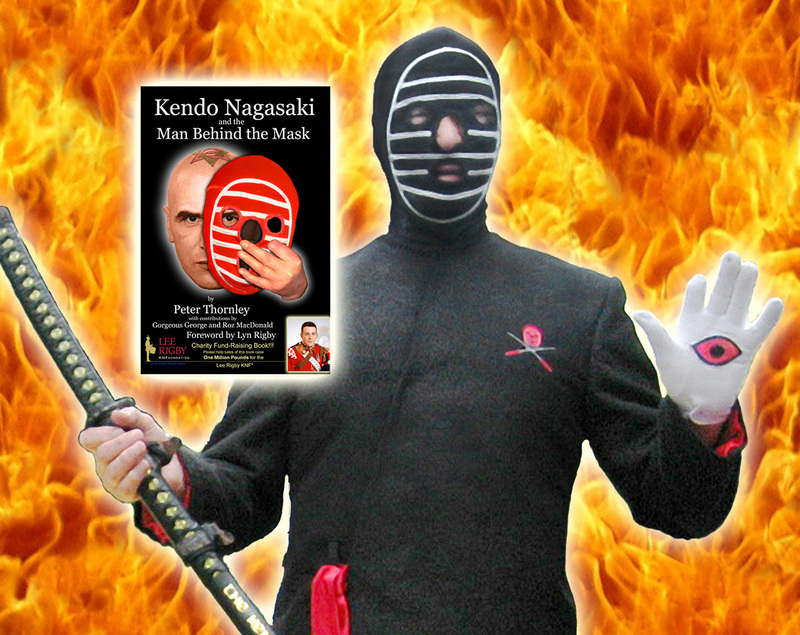 WRESTLING legend Kendo Nagasaki will climb into the ring at five different late October All Star Promotions events to launch his autobiography ‘Kendo Nagasaki and the man behind the Mask,’ which forms part of a bid to raise £1million for the Lee Rigby-Kendo Nagasaki Foundation. Established in memory of the fusilier murdered in South London during 2015, the Foundation has received staunch support from Kendo and Lee’s mother Lyn Rigby will also be at each venue to ceremonially remove the former heavyweight star’s famous striped mask. Then the hardback book goes on sale at £16.99 per copy and with every one bought during the event intervals personally signed by Kendo. Soon after making his ring debut during the1960s Kendo, alias Peter Thornley, became an overnight sensation after winning an epic battle at Hanley, Stoke on Trent, to end the long unbeaten career of another masked star Count Bartelli. Kendo went on to headline bills around the country and abroad including regular appearances during wrestling’s spots in the original ‘World of Sport’ programmes. 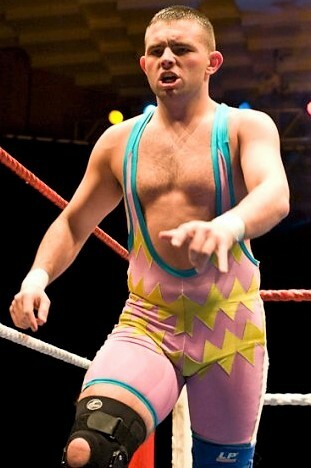 The book contains contributions from ‘Gorgeous George,’ Kendo’s long-time ring spokesman and manager, and Roz MacDonald. Venues set for Kendo’s personal appearances are: The Beck Theatre, Hayes, on Monday 22 October; Aldershot Princess Hall on Tuesday 23; Gravesend Woodville Halls on Wednesday 24; the King’s Theatre at Stoke on Trent on Friday 26 – all with 7.30pm starts – and finally at the Town Hall, Dudley, on Saturday 27 when the action begins at 6pm. 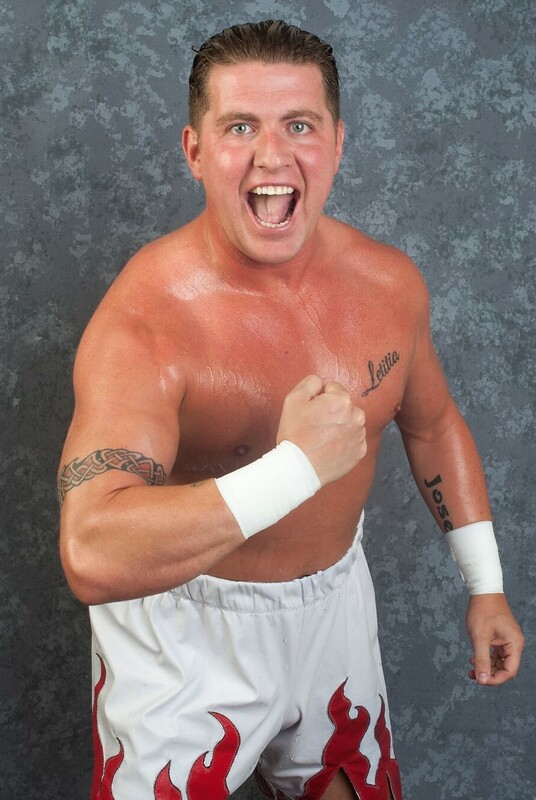 returned to the ring as if he had never been away and is lined-up as part Great Britain team taking-on a World Riot Squad including solo and tag team matchings at the Towngate Theatre, Basildon, on Sunday 30 September. Among wrestlers lining-up with Maxted will be will be South London-born heavyweight favourite James Mason who made a ring debut in his mid-teens and has gone on to earn a tremendous reputation for consistently high levels of performance in rings around the world, Wirral based action star Dean Allmark and Superslam champion Oliver Grey who hung on to the prestigious belt through the summer including a clash with American former champion Sam Adonis. 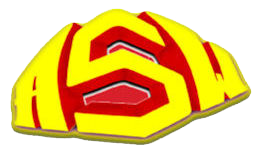 Leading the opposition will be metal masked menace Thunder, the 20 stones force renowned for always taking a direct route to the heart of the action, plus the formidable ‘Henchmen’ tag combination consisting of Benton Destruction ad Partner Jim Diehard. Towards the end of October Maxted will feature in all five events when Kendo Nagasaki launches his eagerly awaited autobiography. 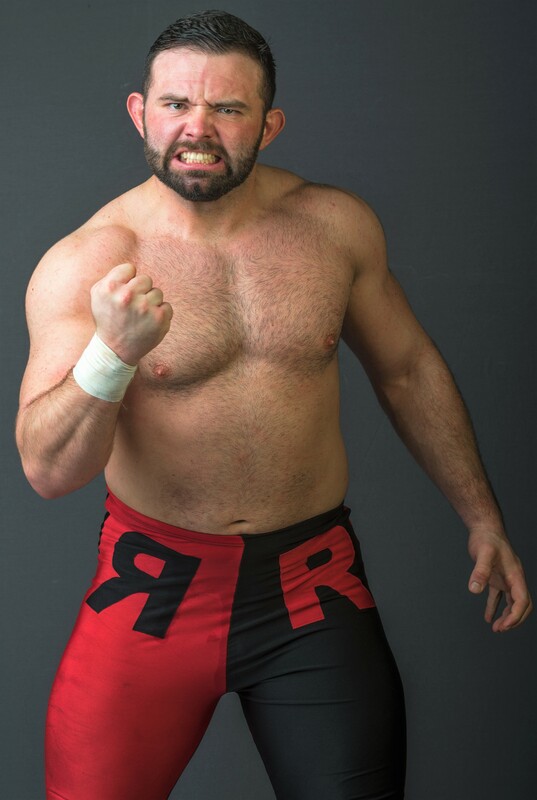 Four pictures from Ringo Ryan’s time appearing for All Star. MERSEYSIDER Ringo Ryan faced American invader Harlem Bravado at Rhyl Town Hall in his final home contest before heading off on 6 September to start a fresh life in Auckland, New Zealand. 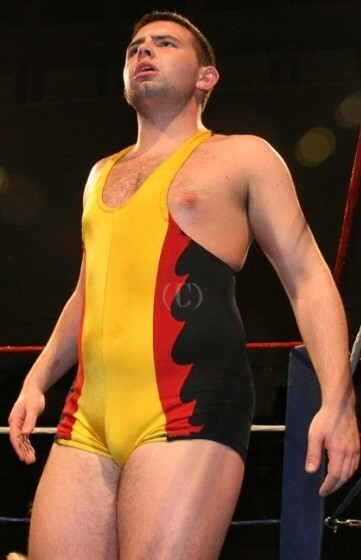 By coincidence, the North Wales venue was where Ringo, real name Ryan Ambrose, made his debut in 2006 as the first trainee from the All Star School to progress to the professional ranks. 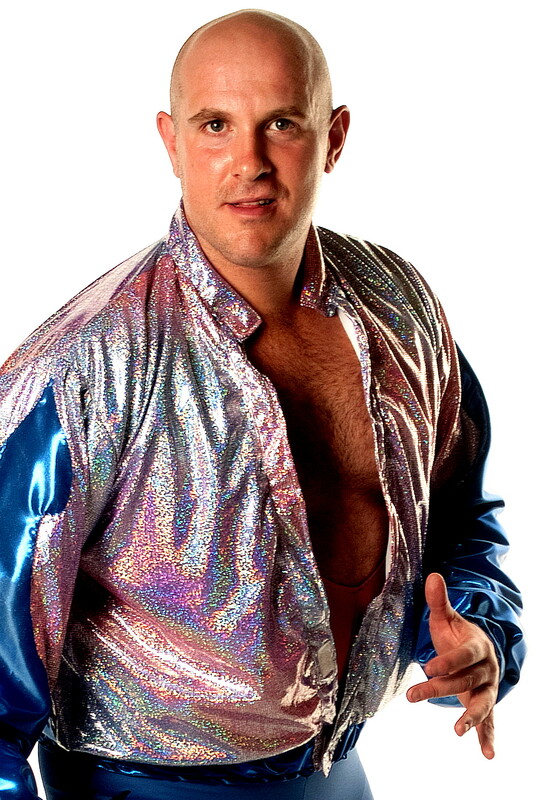 Hailing from Garston, Liverpool, Ryan was 18 when first stepping through the ropes for a meeting with Tony Spitfire. Highly rated by fellow campaigners, Ryan left with messages of good wishes ringing in his ears from trainer Dean Allmark, James Mason, Robbie Brookside and other Training School contemporaries. 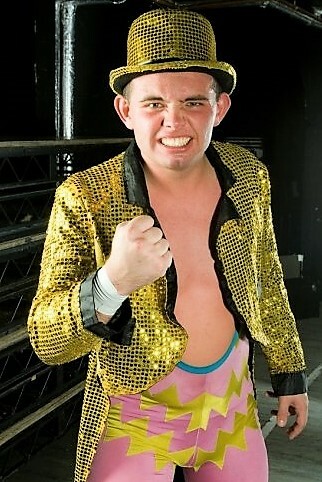 He also made a number of appearances as a referee and will be remembered from explosive matches with rivals including El Ligero, Robbie Dynamite, Frankie Sloan, Ben Levy and, in more recent times, Adam Maxted. The All Star School has now resumed training sessions at its North Wirral base on the second floor of the Jumpin’ Josephs Trampoline Centre at Evolution House, Longhill Road, on the Clayhill Estate at Neston, CH64 3RL. Dean Allmark puts the trainees through their paces every Wednesday from 5pm to 9pm with a fee of ￡10 per session also including one hour workouts of trampoline fitness.